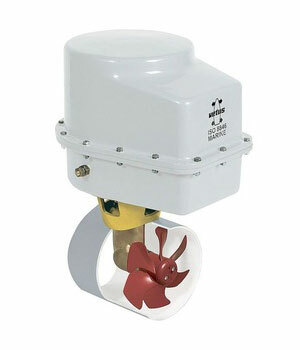 The Marine Bow Thruster solutions replaces a hydraulic motor with an AC induction motor and inverter. This solution is currently available 24V, 36V, and 48V battery voltages. The variable speed drive provides precise control, when compared to using DC ON/OFF motor technology. The system can also be supplied with many of our standard joystick controls, which provides a true plug-n-play solution for large and small vessel OEMs.